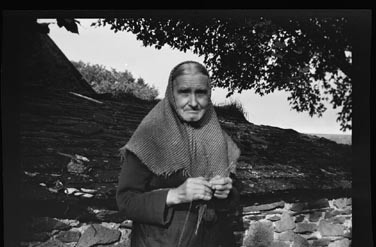 The James Madison Carpenter Collection is a multiple media collection documenting British and American folklore and folklife, principally traditional song and drama, but also folk narrative, customs, games, instrumental music, dance and dialect. The bulk of the material was collected in the period 1929-35 when Carpenter undertook fieldwork in Britain, particularly England and Scotland. The remaining material deriving from Carpenter's fieldwork was collected in a preliminary visit to Britain in 1928, and from parts of the United States during 1927-28 and 1935-55. Further materials pertaining to Carpenter's life and work also form part of the Collection. The Collection contains materials in the following languages: English, French, Scots, Scottish Gaelic, Cornish. Series I consists of papers (approximately 14000 pages), 179 Dictaphone cylinders, 220 12-inch acetate discs, 40 drawings, and approximately 560 photographs. The papers contain text transcriptions and music notations of songs and ballads, text transcriptions of folk plays, dance notations, custom descriptions, narrative transcriptions, dialect transcriptions, children’s game descriptions, essays, teaching materials, letters, lists, newspaper cuttings, notes and miscellanea. Many of the papers contain typewritten text, others are handwritten. The number of each type of song and play in the Collection is hard to quantify since each may exist in a number of versions and formats. This is partly as a result of Carpenter’s collecting methods (see Biography of James Madison Carpenter) and partly as a result of his subsequent editorial work on the Collection in preparation for publication, a goal that was never realised. The ballads are perhaps the most complex in this respect. A particular ballad as sung by a particular singer may exist as a cylinder recording, and as the tune transcription with accompanying text that derive from that recording. There are also tune transcriptions without texts, which may be Carpenter's practice music transcriptions from the sound recordings. The same ballad contributed by the same singer may also exist as a full text transcription, typed from the singer’s dictation, sometimes with handwritten additions and marginalia. In addition, there may be a further fair copy of the same text, presumably typed by Carpenter for publication. In addition, although the majority of items in the Collection were documented at first hand by Carpenter, a number were not. The Collection contains copies of published material typed out by Carpenter for reference. Another portion of the Collection was copied by Carpenter from the then unpublished papers of James Bruce Duncan who, in collaboration with Gavin Greig, had collected traditional song in the North-East of Scotland from 1905 until the First World War. Still another part of the Collection consists of what appear to be papers, containing collectanea, written by Carpenter's students in America. The Collection was purchased from Carpenter in 1972 by the Library of Congress. Further details about the Collection may be found in Finding Aids for Collections in the Archive of Folk Culture. The papers in the Collection were microfilmed shortly after acquisition and the discs copied onto tape. Copies of the microfilms and tapes are available at the Vaughan Williams Memorial Library, Cecil Sharp House, 2 Regent's Park Road, London NW1 7AY, and a copy of the microfilm is available at the Central Library, Aberdeen. The microfilms are arranged by Box and Packet/Mailsack and cover the materials in Archive of Folk Culture Folders 13-184. Occasional pages within this sequence are missing. The microfilm was made prior to the pagination of the papers. The disc recordings (mostly copies of Carpenter's original cylinders) which were copied onto tape are of poor fidelity and variable speeds. The photographic images are currently only available at the Archive of Folk Culture, American Folklife Center, Library of Congress. Most of Series I of the Collection, including the original cylinder and disc recordings, has been digitised as part of the Save Our Sounds: America's Recorded Sound Heritage Project. The long-term goal is to make the Carpenter Collection generally accessible on a website, either as part of American Memory or a similar Library of Congress initiative. This goal will be realised only after permissions have been sought from Carpenter's sources or their families. At this stage, it is intended that the digital images will be directly accessible from the Carpenter Collection online catalogue. James Madison Carpenter was born in Blacklands, near Booneville, Mississippi, in 1888. Educated at the University of Mississippi to Master's degree level, he became a Methodist minister. He entered Harvard as a doctoral student in English in 1920 and there came under the tutelage of George Lyman Kittredge, an eminent literary scholar and leading folklorist. Under Kittredge's supervision, Carpenter worked on a PhD thesis entitled ‘Forecastle Songs and Chanties’, drawing on fieldwork undertaken in Britain, Ireland and America. Having gained his doctorate in 1929, Carpenter was awarded a Sheldon Fellowship from Harvard to continue collecting folksongs in Britain. He bought a car and began to travel England, Scotland and Wales in search of singers. Among the people he encountered were some who had sung for the Edwardian collectors such as Cecil Sharp and Gavin Greig, and some who would be visited by later collectors such as Hamish Henderson and Kenneth Goldstein. He also located prolific singers never recorded before or since, such as his stellar ballad singer, Bell Duncan, whom he described as 'the greatest ballad singer of all time'. Her repertoire, according to Carpenter, consisted of some 300 songs, including 65 Child ballads. Carpenter's collecting method for songs was in many cases to record several stanzas of a singer's rendition using the Dictaphone cylinder machine. He then asked the singer to start again and dictate the words of the song, two lines at a time, while he typed them up on a portable typewriter. In at least one case he took these transcriptions back to the singer on a subsequent occasion to check them. By 1933, Carpenter had broadened the scope of his collecting to include mummers' plays as well as traditional songs. A few of these are recorded on cylinder, but many were apparently dictated to Carpenter, mostly by ex-performers. Carpenter returned to Harvard in 1935 where he gave occasional lectures and set about transcribing the tunes of the ballads he had collected, a task in which he was self-taught. His aim was to publish the ballad material. He continued to work on the ballads in his collection following a move in 1938 to Duke University, where he took up a part-time position in the English Department, then chaired by the eminent North Carolina folklorist Frank C. Brown. The publication never materialised, however, and only a handful of items from his collection were ever published, despite his plans (see Bibliography). Carpenter left Duke in 1943 and took up further posts in Virginia and finally in the English Department at Greensboro College, North Carolina, where he stayed until his retirement in 1954. He returned to Booneville, Mississippi, in 1964 and remained there until his death in 1983. Listening and viewing access to the Collection is unrestricted. Duplication of the recorded materials may be governed by copyright.